The largest percentage upswings in short interest in coal-related stocks between the May 31 and June 14 settlement dates happened to Rhino Resource Partners (NYSE: RNO), SunCoke Energy (NYSE: SXC) and Walter Energy (NYSE: WLT). Below we take a quick look at how these three stocks have fared and what analysts expect from them. The number of shares sold short in Alliance Resource Partners (NASDAQ: ARLP), Arch Coal (NYSE: ACI), CONSOL Energy (NYSE: CNX), Peabody Energy (NYSE: BTU) and Westmoreland Coal (NASDAQ: WLB) also grew somewhat in the period. 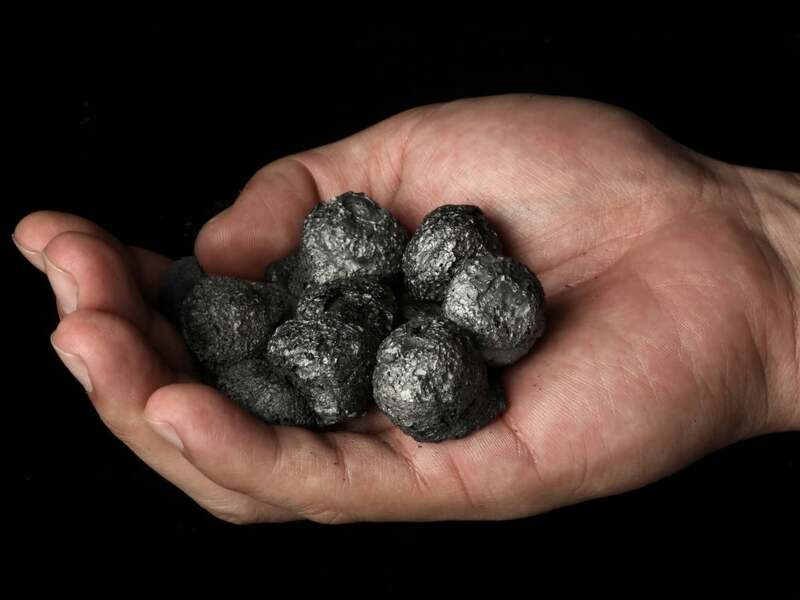 However, short interest in Yanzhou Coal Mining (NYSE: YZC) declined more than 10 percent, while that in Alliance Holdings (NASDAQ: AHGP), Alpha Natural Resources (NYSE: ANR), Cloud Peak Energy (NYSE: CLD) and James River Coal (NASDAQ: JRCC) fell more modestly. 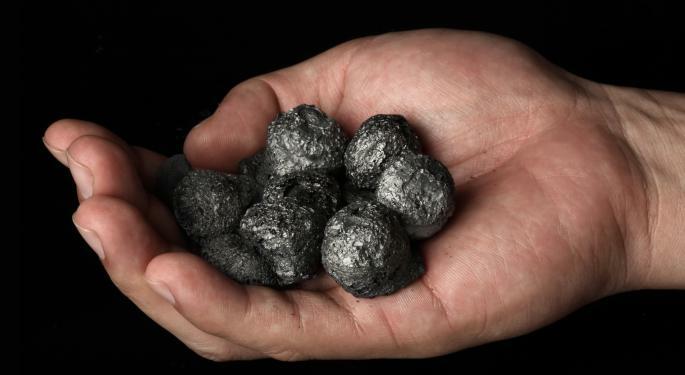 This Lexington, Kentucky-based producer of metallurgical coal saw short interest rise more than 34 percent in early June to more than 46,000 shares, though that was much less than one percent of the float. And it was less than half the short interest back in February and March. 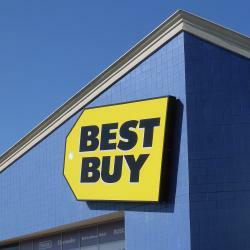 Analysts expect the company to post lower year-over-year earnings and revenue in the current quarter and the next. The company's market capitalization is about $360,000 and offers a dividend yield of about 13 percent. Note that its return on equity is less than nine percent. The consensus recommendation of analysts polled by Thomson/First Call has been to hold shares for the past three months. Only one surveyed analyst had a price target, and it suggests almost 22 percent potential upside relative to the current share price. That target is less than the 52-week high, though. Shares have pulled back more than seven percent in the past month, and they have traded mostly between $13 and $14 since February. But the stock has outperformed Alpha Natural and James River Coal over the past six months, though it has underperformed the broader markets. Short interest in this metallurgical and thermal coal producer surged about 126 percent in the first weeks of June to more than 2.28 million shares. That was the highest number of shares sold short since mid-March, but still less than one percent of the company's float. Days to cover was about five. This Lisle, Illinois-based company is expected to post lower per-share earnings and revenues for the current quarter. It has a market cap of less than $1 billion. The price-to-earnings (P/E) ratio is less than the industry average, and the long-term earnings per share (EPS) growth forecast is more than 38 percent. Half of the eight analysts surveyed recommend buying shares, and that has been the consensus recommendation for the past three months. The mean price target, or where analysts expect shares to go, is about 20 percent higher than the current share price. That target would be a new 52-week high. The share price has retreated more than 12 percent in the past month and is about eight percent lower than six months ago. SunCoke Energy has underperformed the broader markets over the past six months, but it has outperformed competitor Walter Energy in that time. This Birmingham, Alabama-based producer and exporter of metallurgical coal for the steel industry saw short interest grow about 19 percent in the period to about 20.30 million shares. That was more than 32 percent of the float and the largest number of shares sold short in the past year. Days to cover was more than two. Walter Energy canceled a $1.5 billion debt refinancing plan in mid-June. The company currently has a market cap of around $630 million and offers a dividend yield of about four percent. The long-term EPS growth forecast is more than 30 percent, but the operating margin and the return on equity are in the red. Though the consensus recommendation on Walter Energy is to hold shares, 11 of the 25 polled analysts recommend buying. The analysts' mean price target indicates that they feel shares could more than double from the current share price. That target is much less than the 52-week high, though. Shares are trading near a multiyear low, and the share price is down about 73 percent since the beginning of the year. Walter Energy has underperformed the likes of CONSOL Energy and Westmoreland Coal, as well as the broader markets, over the past six months.